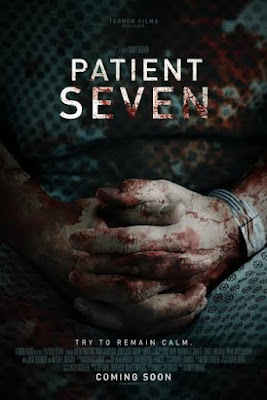 In October of 2015, genre distributor Terror Films announced that principal photography had begun on an Untitled Horror Anthology, now titled 'PATIENT SEVEN'. The structure of the anthology includes a wrap-around, written by Barry Jay Stitch (The Chosen) and directed by horror veteran Danny Draven (Ghost Month, Reel Evil), which intertwines 7 award winning, short films by filmmakers from around the globe. The filmmakers include: Nicholas Peterson, Paul Davis, Ómar Örn Hauksson, Dean Hewison, Erlingur Ottar Thoroddsen, Joel Morgan, Johannes Persson and Rasmus Wassberg. The cast includes: Amy Smart (Just Friends, The Single Mom’s Club), Alfie Allen (Game of Thrones, John Wick), Doug Jones (Pan’s Labyrinth, Crimson Peak), among others. The wrap around stars veteran actor and genre favorite, Michael Ironside (Scanners, Total Recall) as Dr. Marcus. The film will have a wide ancillary release, currently set for this Fall. Exact dates for the release will be announced soon. Below you can check out the official trailer.